It is with great sadness that I announce that Earl Ma has died after a long battle with cancer. 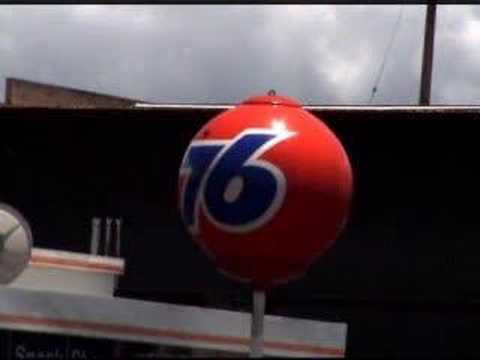 In addition to being a lovely guy with vast stores of energy and passion, Earl was instrumental in the campaign to save his beloved 76 Balls. It began with his interviewing Nathan Marsak and myself for a feature in Check the Oil! magazine, but he soon became the go-to guy whenever another journalist covering the campaign needed to put Union 76 into its proper historical context. Earl knew everything about the brand, and was always generous responding to anyone's questions. And in his spare time, he made an effort to videotape every 76 Ball, ideally spinning, that he could find and shared those tapes on Youtube so future generations could see lost balls in situ. I only met Earl once, for a breakfast and Philippe's in downtown LA with fellow 76 Ball geeks J. Eric Freedner and Nathan, but recognized him immediately in his Union 76 regalia. We all had a great visit, with no idea it would be our last. I greatly appreciated Earl's intelligence, kindness and reliability. He was a true gentleman, and it's some small consolation to know that he left this plane knowing that the 76 Ball lives on in large part thanks to his efforts. Godspeed, Earl, and thanks for all your good work and friendship. 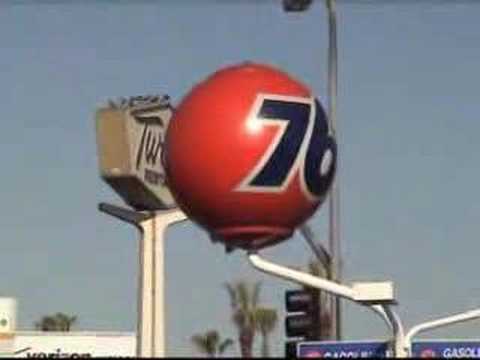 When I was growing up the 76 ball was the icon for me and my mom to know where to get gas. Although we now use Arco it is a symbol of all gas signs just like the Mobil, Texaco and Shell signs. They have no right to take down these balls because they are new and dont think that they are modern. The orginal creaters made them that way cause thats the way they wanted them. So thats the way they should be.